Published on July 16, 2011 in General T&T, Passed on and PNM. 2 Comments Tags: NAEAP, Rose Janneire, Selwyn R. Cudjoe. The National Association for the Empowerment of African People (NAEAP) joins the nation in recognizing the many services Ms. Janneire rendered to the nation. Ms. Janneire joined NAEAP in 2000, two years after it was founded, and worked arduously with the organization to transform the landscape of African people in this country. 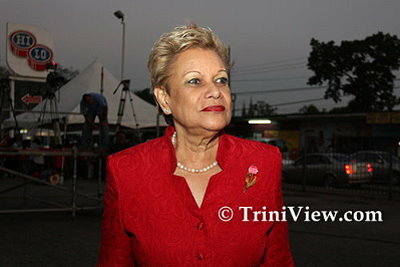 She served as a trustee in the organization and for many years controlled the finances of the organization.